ROME (AP) — French far-right leader Marine Le Pen distanced herself Monday from former White House strategist Steve Bannon, saying only Europeans will save the continent from getting orders from the EU, not Americans. Le Pen said Monday, at a meeting in Rome, that she wanted to clarify “lots of conjecture” about Bannon’s plans to set up a foundation, called The Movement, to boost far-right parties in Europe. Le Pen’s distancing was significant given Bannon has been making the rounds in Europe of late as part of his push for a trans-national, anti-European Union movement. 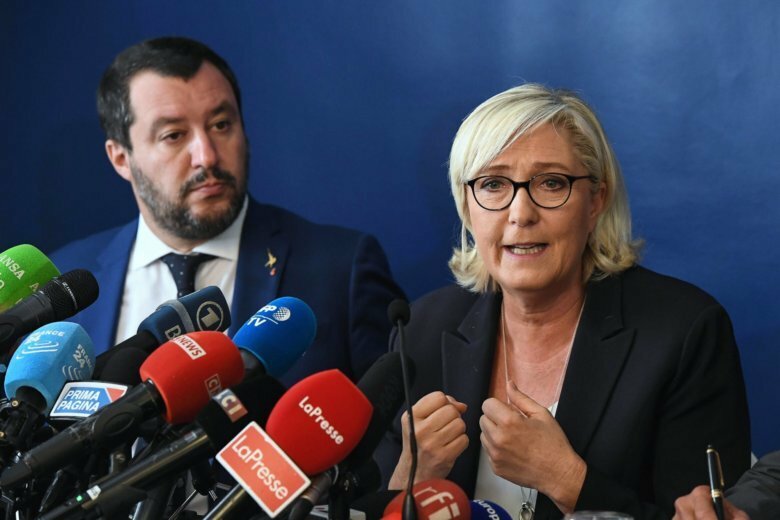 Le Pen was in Rome to join Salvini at a union conference where they showed a united front before the European Parliament election in May. Last month, Bannon appeared at a rally in Rome organized by a small far-right Italian opposition party, Brothers of Italy, where he heaped praise on Italy’s populist, 5-Star-League government, and he was in Rome for the March 4 election that brought them to power. While he didn’t appear with Salvini, who spoke at the rally earlier in the day, the two have met and Salvini has purportedly signed onto The Movement, according to one of its proponents, Belgian politician Mischaël Modrikamen. In March, Bannon spoke at Le Pen’s National Front party congress, which had been aimed at remaking the far-right party’s image after it suffered a crushing defeat to the pro-globalization forces that brought Emmanuel Macron to the French presidency. As part of the makeover, Le Pen changed the party name to National Rally. Some in France had warned that Bannon’s support could threaten Le Pen’s efforts to cleanse the party of its racist stigma. Bannon had praised the extreme version of the National Front embodied by Le Pen’s more hard-line niece and rival, calling her one of the most important people in the world.